Published on December 22, 2011 in Reflections. 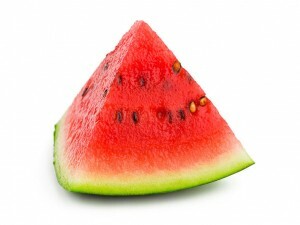 0 Comments Tags: Life, Overcome, Philosophy, Problems, Think, Watermelon. The first one is to remove the seeds beforehand, with a big initial effort for a better final enjoyment. But at the cost of having to repeat it on every portion, striving forever and just learning around “how to remove the seeds faster to be able to enjoy before”. The second way is to eat, ignoring the seeds at first, but chewing carefully so you can put the seeds out as they are felt. However, this makes really hard to completely enjoy the watermelon. The third path is to chew without anything getting into our way and, if we can, put out some seeds in the way. In this case, we end up biting almost every seed, turning the watermelon quite bitter. Finally, the fourth choice is to learn a technique to eat without the seeds bothering us: you bite, ignoring the seeds, and you drink as much juice as you can until the bite gets smaller. Then, the seeds will get together by themselves on the leftover and you can throw them out without any inconvenient. This way, what you learn is to, each time, eat calmer, with the certainty that the seeds will get finally discarded by their own weight. In the meanwhile, we enjoy the juice and the pulp. As always, everything is a matter of how we approach it. Wise words that emerged of buying a whole watermelon and trying to eat it before it rots.